This Vegan Cinnamon Coffee Smoothie is the perfect healthy breakfast or snack! 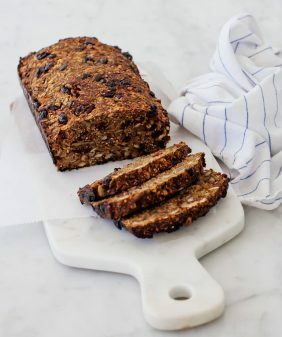 Made with dates and almond butter, it's creamy, filling, and delicious. For this post, I had originally planned to do a cinnamon roll recipe to recreate all of my warm and cozy Christmas morning memories. Obviously – I didn’t get to it. 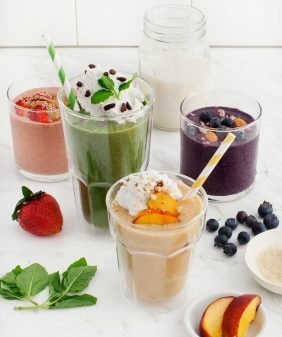 Plan B was to make a cinnamon roll smoothie – all of the goodness of cinnamon rolls but in a healthier format. But then I realized, who am I kidding? 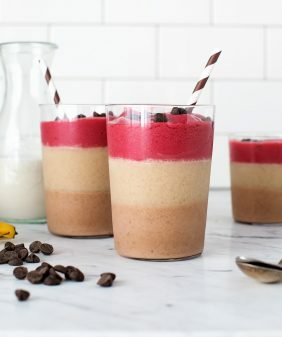 A cinnamon smoothie will never be a cinnamon roll, so instead, I’m sharing this yummy coffee smoothie that we’ve been making all week and really enjoying. This Cinnamon Coffee Smoothie is creamy and filling, and it won’t leave you with that carb/sugar overload feeling. What it will leave you with is more energy for opening presents, and it’ll make you feel better about having a cocktail and a few cookies later in the day! Happy Holidays, friends & Coffee Smoothie Cheers! 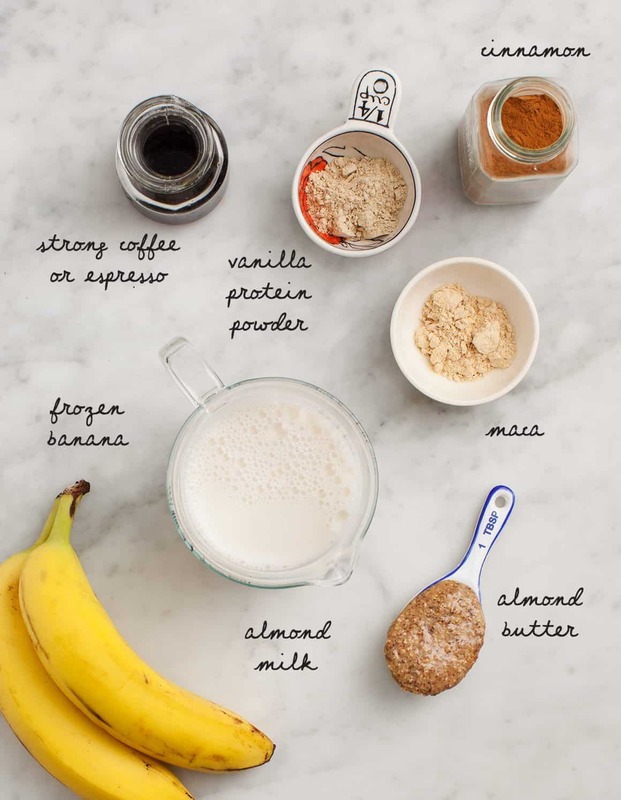 Made with dates and almond butter, this Cinnamon Coffee Smoothie is the perfect healthy breakfast or snack. Vegan and gluten-free! Add all ingredients to a blender and blend until smooth. 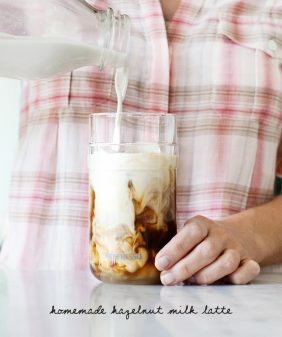 Add more almond milk, as needed. For the protein powder, I used Moonjuice Vanilla Mushroom Powder. For the Maca, I used Essential Living Foods Maca Blend. 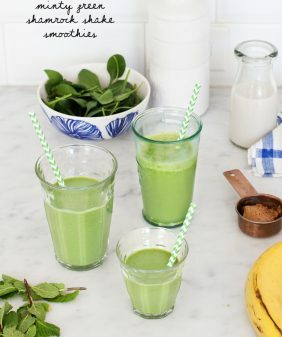 This recipe was inspired by the Winter Smoothie on The Fresh Exchange. Been making oat milk last few months, tastes great in coffee and no more wondering if a carton is really being recycled. 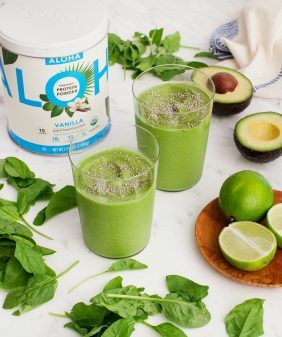 I think this smoothie will be a good recipe for the oat milk and if I don’t strain the milk more than once will probably not need the protein powder. Oat milk would probably be great in here, thanks for the idea! Thanks so much!!! So glad you loved it and it inspired you. How do you like the Moonjuice products?! I have debated them so many times and have never pulled the trigger. Of course! This is the only one I’ve tried so far – I like it because it tastes good (not gritty or chalky). I haven’t tried any of their other products yet, but I’m thinking about experimenting with some others soon :). I hope you, Mike & Hayes had a wonderful holiday! do I have to use the protein powder? what kind of vanilla protein do you like? When you say 2 Tbsp espresso or strong coffee – do you mean espresso powder/instant coffee? 2 Tbsp of strong coffee brewed seems like not enough – like it would be lost in the other ingredients. Thanks for clarification! Hi Traci – I meant brewed coffee, not powders. You can add more if you like, just use less almond milk accordingly. I used concentrated cold brew coffee (the Chameleon Cold Brew brand) which is pretty strong but it can still be adjusted to taste. Hope that helps! I’ll try the cinnamon smoothie with dark chocolates.I’ll share this smoothie with my family.My wife will love it. Thanks Cecilia! I’m so glad you enjoyed it! Just made this smoothie and it is soooo good!! And it has so much more nutrition (and protein!!) packed into it than my usual cup of coffee! I will definitely be making this again!! Yay, I’m so happy to hear that! Really delicious! I’ll be making these often with the warmer weather ahead. I will make this everyday. Hey, gorgeous pictures and amazing looking coffee smoothies! I think I’ll try this unique recipe. It’s good that I have all the ingredients:) Thanks a lot for sharing, Jeanine! 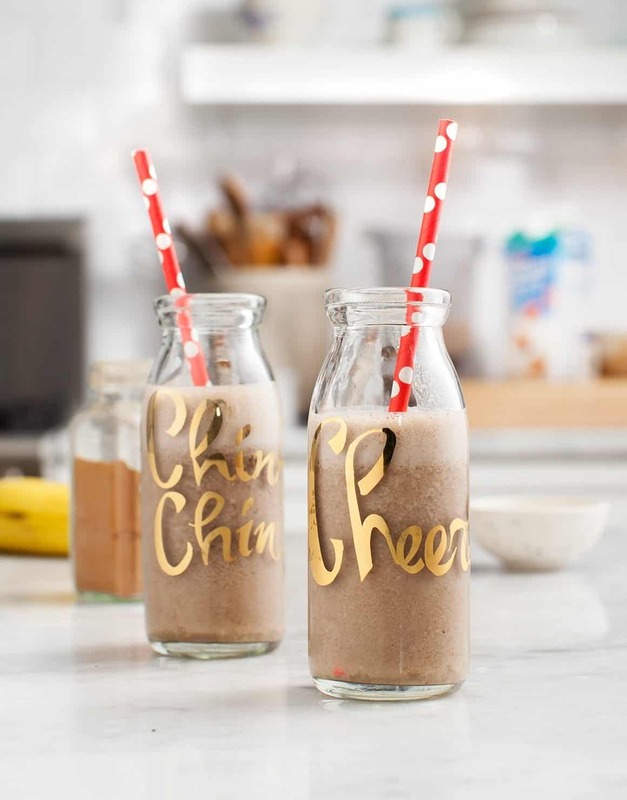 This vegan cinnamon coffee smoothie looks delicious, I just want to devour it off the screen!